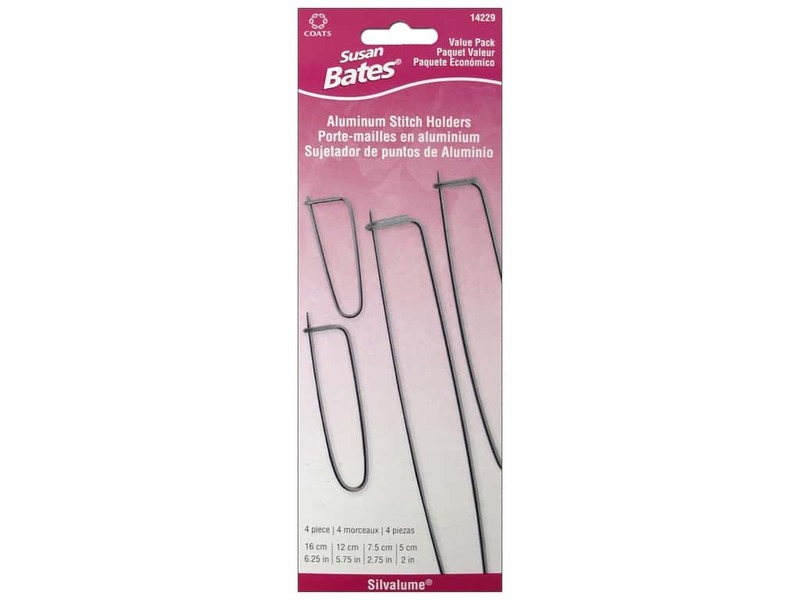 Description: Susan Bates Aluminum Stitch Holders are shaped like a safety pin, have smooth finished points so there is no snagging of the yarn, and hold stitches securely until you are ready to work them into your project. Set includes 2, 2 3/4, 5 3/4 and 6 1/4 inch. 4 pc.